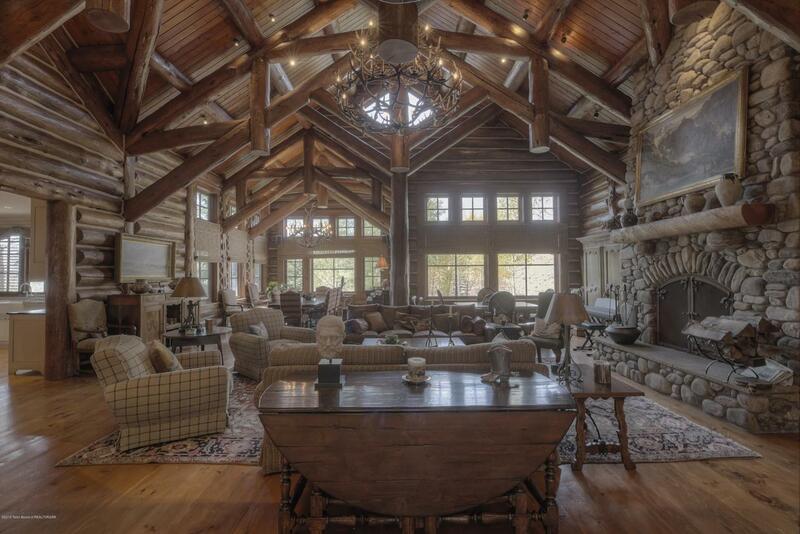 A magnificent hand-crafted log lodge that is perfect for entertaining family and friends. This elegant estate is ideally placed to enjoy the private setting and breathtaking natural surroundings. Being sold with adjoining lot (2150 Bannock) for a total of 12 acres. The property borders 1200 acres of conservation property (Walton Ranch). This retreat has a refined warmth and character and has all the amenities one would expect- 120 inch home theatre, wine cellar, game room, sauna, hot tub, a 1100 square foot office complete with conference table creates a separate and convenient working environment, exercise room, 4 fireplaces, gourmet kitchen, library, and more. Must see to appreciate. Listing provided courtesy of Jamie Turner of Brokerage Of The Tetons.